Where Can I Ride My ATV in the Carolinas? North and South Carolina offer some of the most beautiful terrains on the East Coast for your ATV adventures. If you are lucky enough to own a piece of Blue Ridge Mountain real estate, your home or second home will quickly become a top destination among your ATV-loving friends and family. The best part about owning a home in the Blue Ridge Mountains is that there’s something wonderful for everyone to enjoy, whether they crave outdoor adventure or not. Places like West Jefferson, North Carolina offer everything from fabulous golf courses to events and festivals year-round, as well as a rich history in art and music. Owning real estate in Ashe County puts you smack dab in the middle of all the beauty and amenities the Blue Ridge Mountains have to offer, as well as nearby events and attractions in Tennessee, Kentucky, and Virginia. So, call your friends and relatives and dust off the guest bedroom; here are some of the top destinations for ATV enthusiasts in the Carolinas. Located just outside of Bryson City, NC in the Roy Taylor Forest, the Wayehutta OHV Trail System offers a wide range of terrain and gorgeous mountain views. There are 28 miles of trails for family and beginners as well as difficult trails for the adventurous rider looking for a challenge. Round out your weekend trip with a visit to the numerous popular waterfalls, pan for semi-precious gems, or kick back with a craft brew in Bryson City. 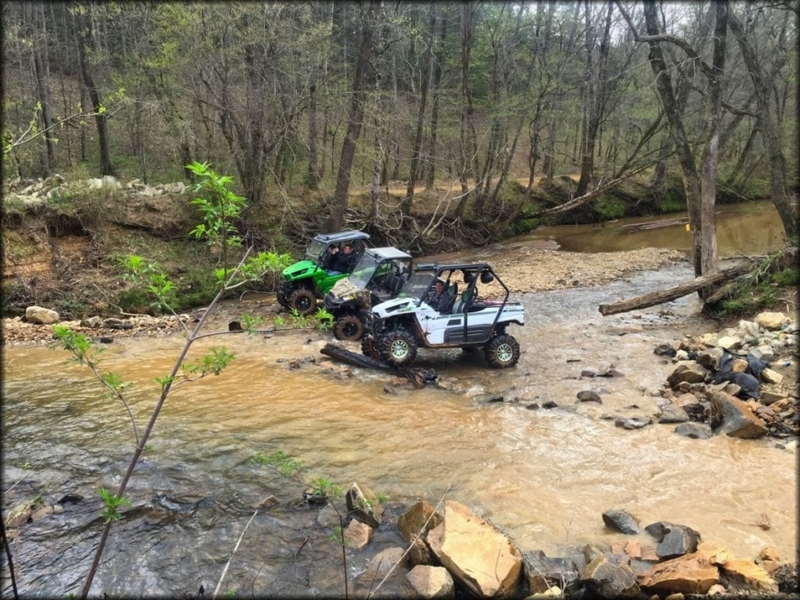 Located within the Sumter National Forest, the Cedar Springs OHV Trail contains sections of both packed dirt trail riding as well as more challenging rocky terrain as it passes through a variety of pine and hardwood forests. There are various campsites nearby for those looking to for a weekend trip, and the area also has a range of hiking, biking, horseback riding, hunting, and fishing areas, as well. Located in the Pisgah National Forest, the Brown Mountain OHV Trail System boasts 34 miles of OHV trails along with primitive campsites interspersed throughout the area. In addition to the stunning scenery, curious ATV enthusiasts can plan to spend the night in the Forest to investigate numerous reports of strange Light Orbs. Though there is a General Store not far from the trailhead as well as a farm offering fresh produce, it’s always wise to stock up before venturing into high country, even if you are only planning a day-trip. If your crew has a wide variety of wheels in addition to ATVs from dirt-bikes to jeeps, bring them to Carolina Adventure World. This 2,600-acre complex offers over 100 miles of varying terrain, water features, as well as amenities like a wash area and on-site restaurant, and even has activities for those in your party who don’t want to get muddy. This site even has rentals available so everyone can tag along, whether they own an ATV or not. 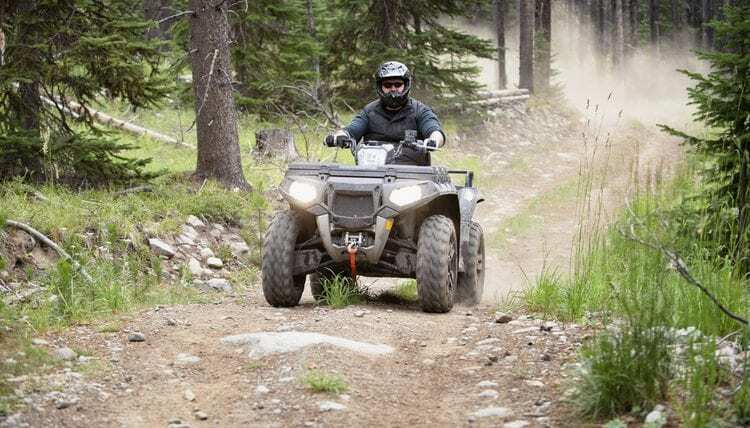 Before you set out on your next adventure, make sure you are well-prepared with necessary gear, a first aid kit, tire compressor, tools, and even spare Polaris parts including plugs and tire repair materials. It’s also a good idea to have an ample supply of drinking water or purification tablets, as well as snacks and emergency blankets in case you end up spending an unexpected night on the trail. Make sure to replenish items in your emergency repair kit prior to every trip. 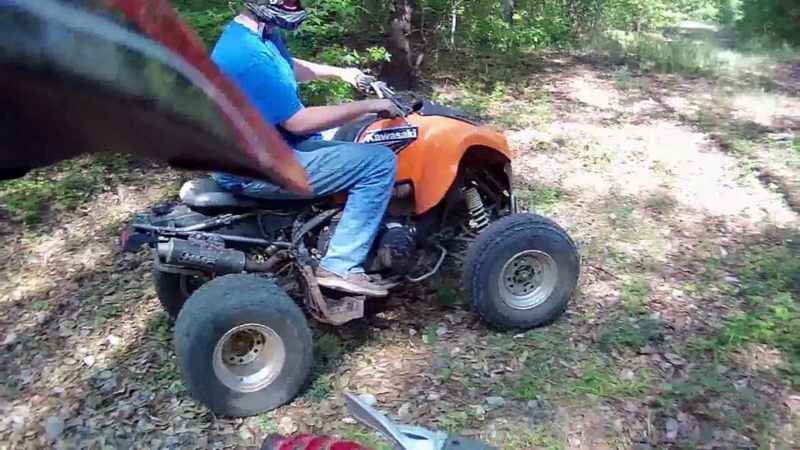 Home » Lux Life » Where Can I Ride My ATV in the Carolinas? Next Story Next post: What Are Pokemon Go Promo Codes?